Digital marketing gives so many opportunities to fuel the growth of a small or medium business that it's often not clear where to start. It's natural to just 'dive-in' and create a site or use social media without thinking it through. But there is a better way, which focuses your precious time and money where you will get the most returns. 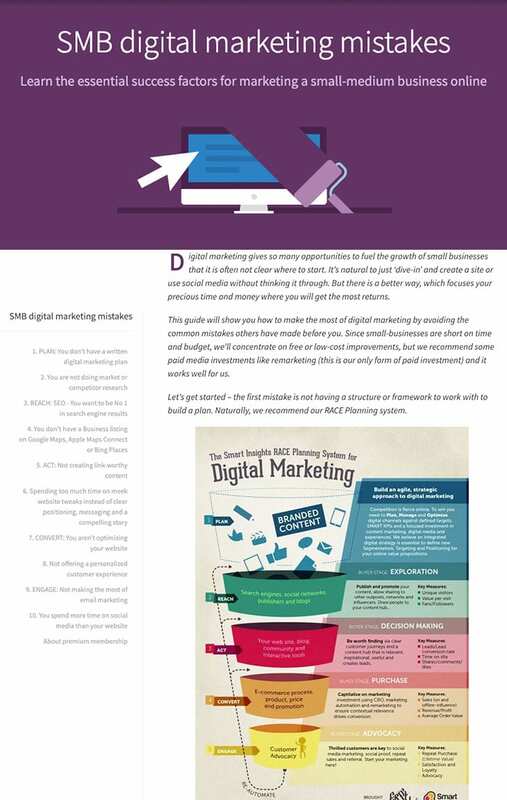 This short guide will show you how to make the most of digital marketing by avoiding the common mistakes others running small businesses have made before you. As consultants who have worked with many businesses of all sizes, we have seen these mistakes all too often, although fortunately they are easy to avoid. This guide has been written for small to medium business owners who may not be utilizing all of their options when promoting their business. SMB owners may only have a small marketing team, or in fact be responsible for the marketing themselves. For this reason, we have focussed on options that are (when appropriate) low cost and can be carried out by a small team. 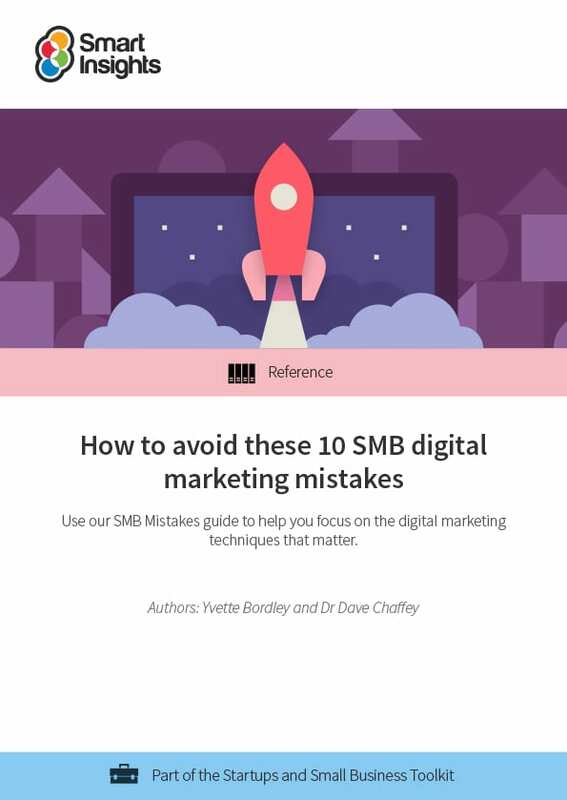 Authors: Experienced Digital marketing consultant Yvette Bordley and Dr. Dave Chaffey, co-CEO and co-founder of Smart Insights. Yvette Bordley is an experienced digital marketing consultant who has worked with brands as diverse as Ferarri to Brightons Museums and the Royal Pavilion. She currently provides consultancy to small to medium business, digital marketing training and helping startups and young entrepreneurs develop growth strategies, crowdsourcing campaigns and RACE focused integrated business and marketing plans. Find Yvette on Webyogi.